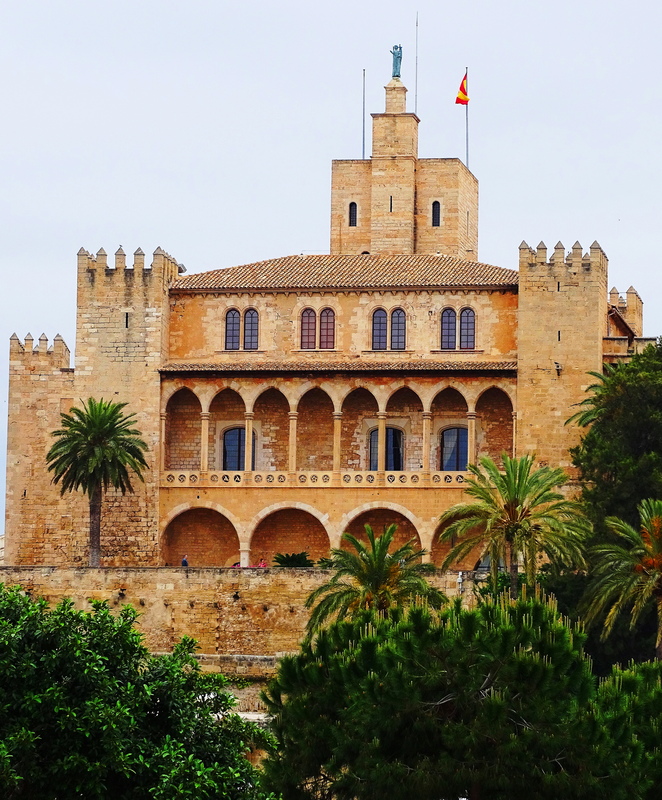 The Royal Palace of the Almudaina is located on the island of Mallorca in the capital city of Palma. 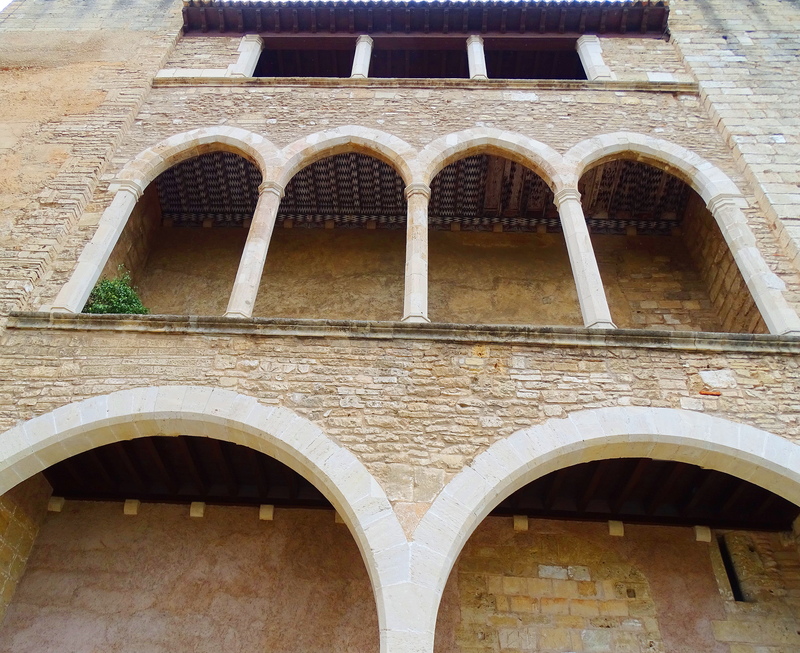 Mallorca is part of the Balearic Island chain located off the coast of Spain. 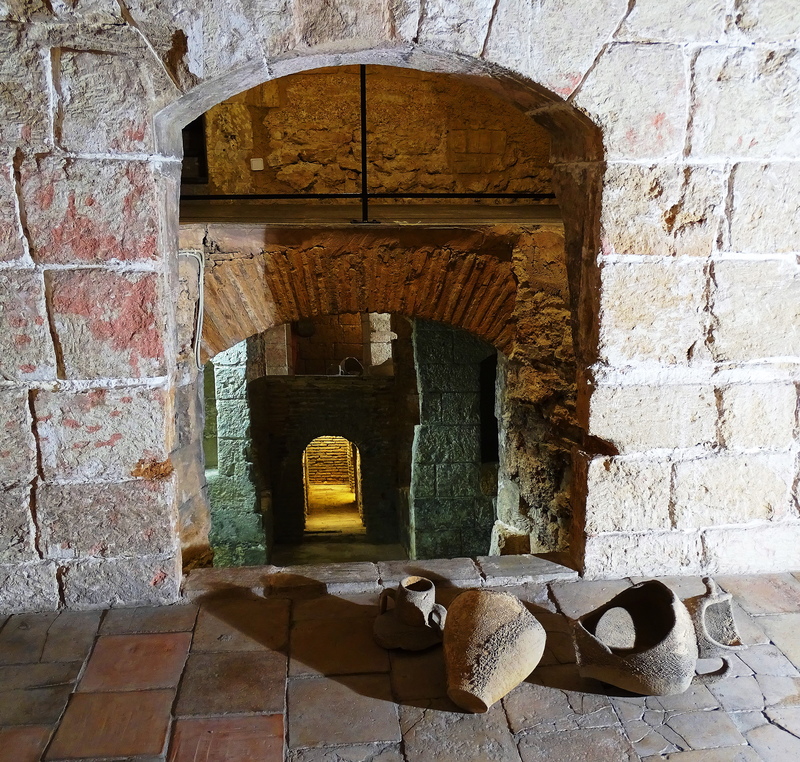 In 903 AD, Isam Al Jawlani, conquered the Romans who were occupying Mallorca. 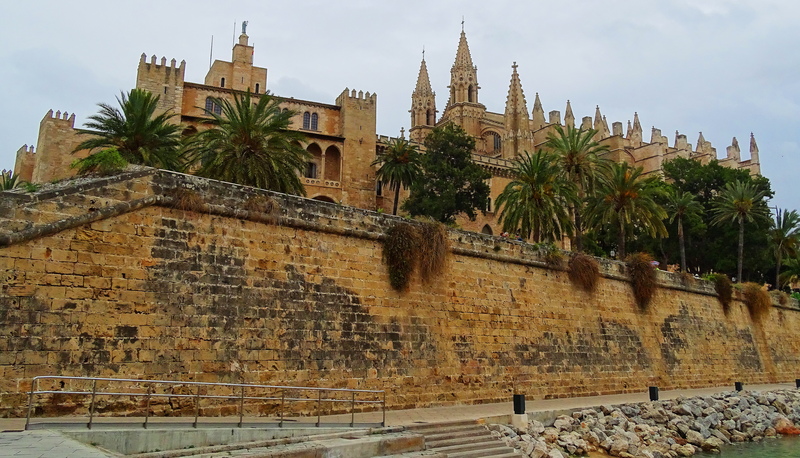 Moors of Berber and Arabic descent then controlled Mallorca from 903-1229 AD. They built the Almudaina in the articulated Islamic architectural style of North Africa. Almudaina consists of two areas, the outer fortress of defensive walls, and the inner fortification which served as residences. The palace architectural style results in unique and visually stunning interiors and exteriors that are airy and full of light, replete with arches, tile work, exterior corridors, and views of the ocean. Windows were built to take advantage of the ocean views and cool sea air. There is no sense of the dark claustrophobia one can feel in many other castles and fortresses. 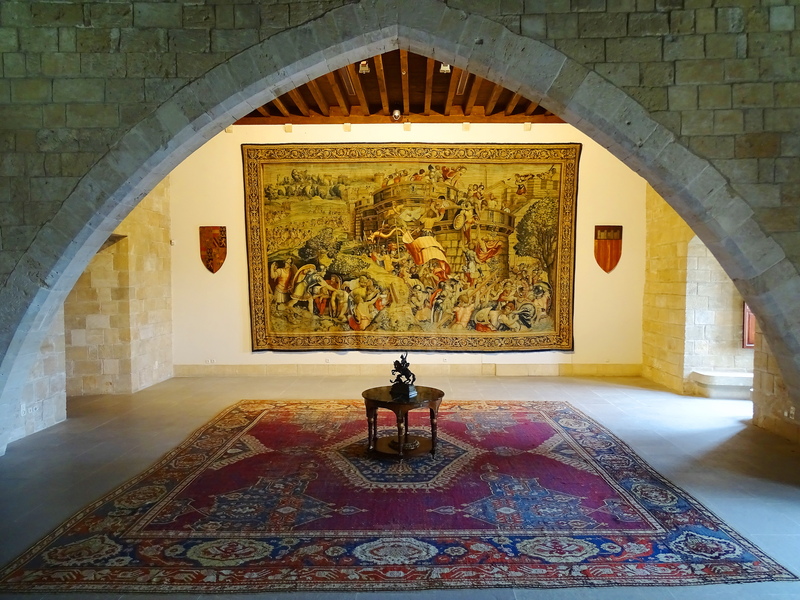 The tapestries you are looking at are Flemish from the 16th and 17th centuries. 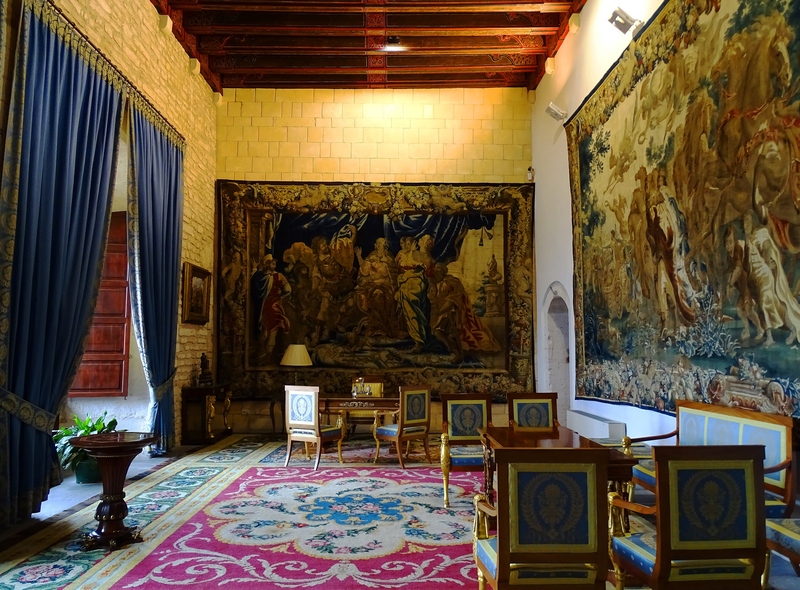 You can see the light and airy interiors that make the palace so inviting. 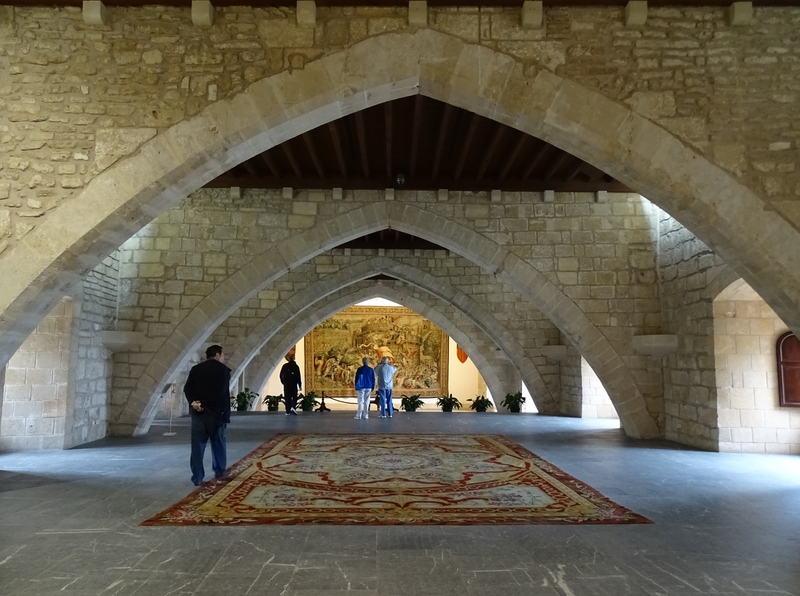 The Arabs were eventually expelled from Mallorca and in the 14th century the palace became the official residence of The Spanish Royal Family who still use the palace as offices in the summer months. 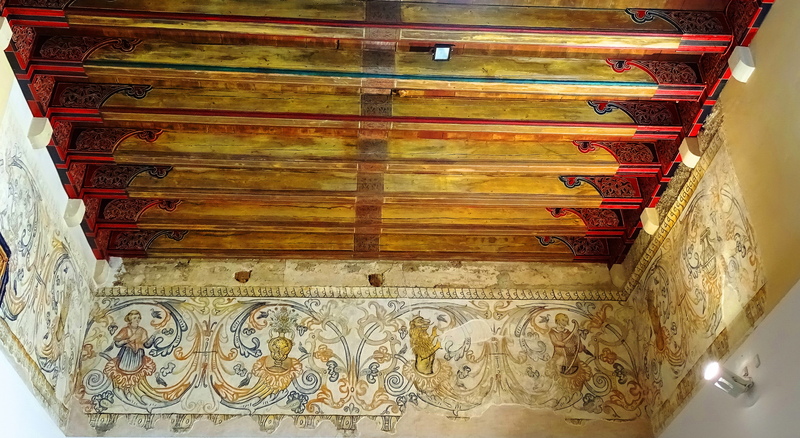 Artistic details are evident throughout the palace interiors.